No less than forty people killed in an explosion in the Shia zone of al-Bayaa in Baghdad. The blast originated from car loaded with explosives parked close to an auto dealership in Shia. This is the third bomb blast to happen in Baghdad in three days. 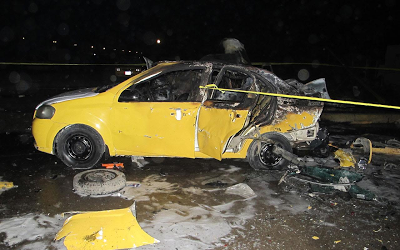 The first car bomb happened on Tuesday in the south of Baghdad while another explosion on used-car dealers occurred on Wednesday, killing eighteen individuals. Asides the forty individuals killed in today's bomb blast, security and medics say that more than fifty individuals were injured. No faction has claimed responsibility for this most recent assault.